A young entrepreneur who managed to succeed early despite growing up in a “youth-at-risk” neighbourhood, Ricky Neckles wanted to take his message of empowerment and success to other disadvantaged and endangered youth. To turn Ricky Neckles into an internationally recognizable brand. 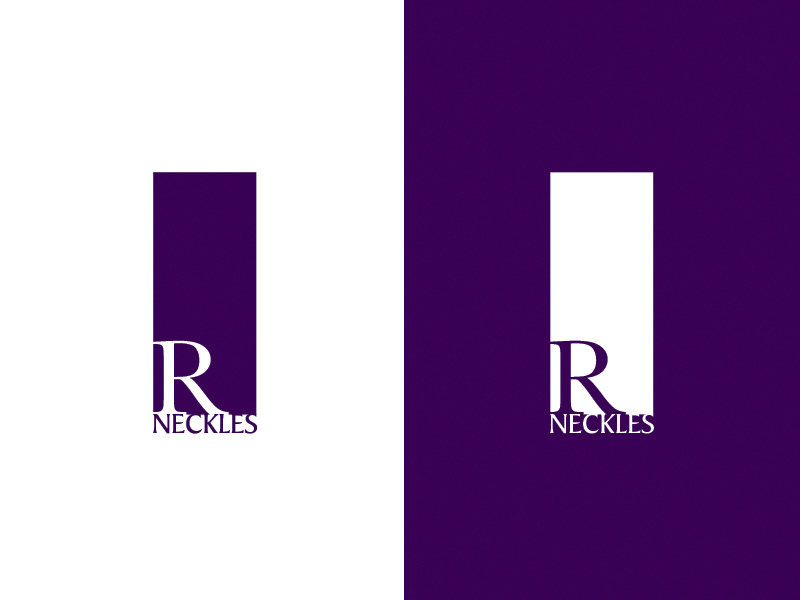 A strong logo, grounded in purple — the colour of majesty — identifies the Ricky Neckles brand. Official Ricky Neckles logo in white and dark background. 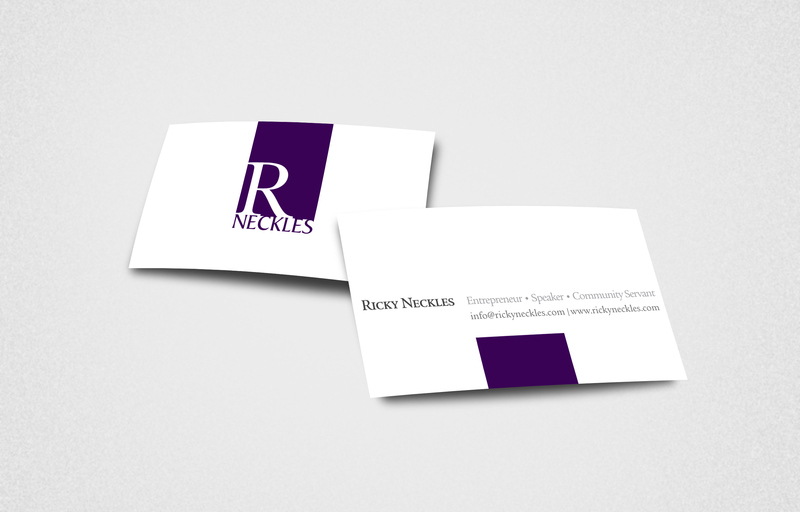 Ricky Neckles business card design - front and back. 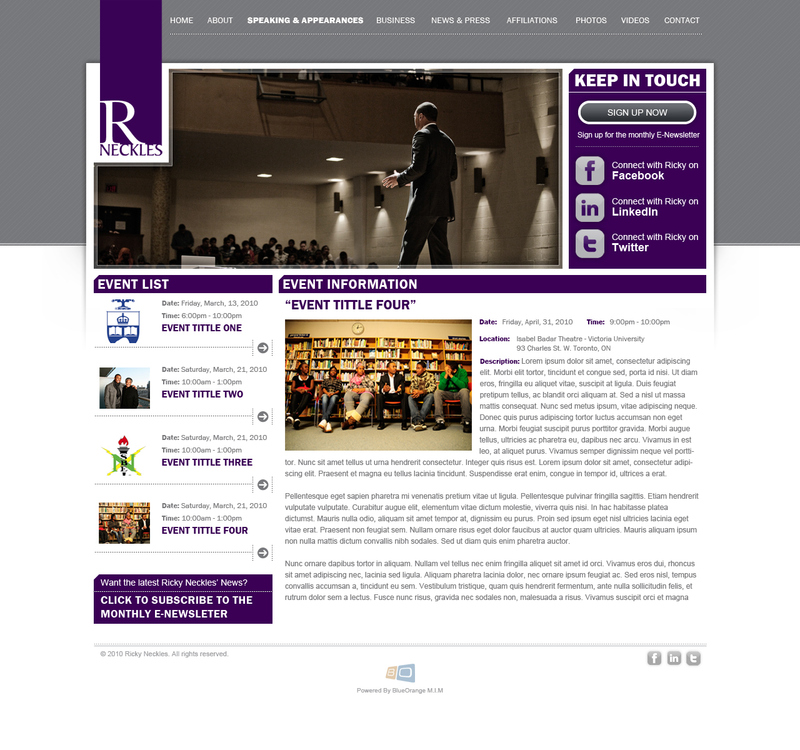 The full website, www.rickyneckles.com, centres on community-building initiatives, including a blog-type experience (On.My.Mind), monthly e-newsletters, and connections to Ricky’s Facebook Fan Page, LinkedIn, and Twitter profile. Photography and videos showcase Ricky’s work and personality, and help foster the sense of community that is the heart of Ricky’s vision. 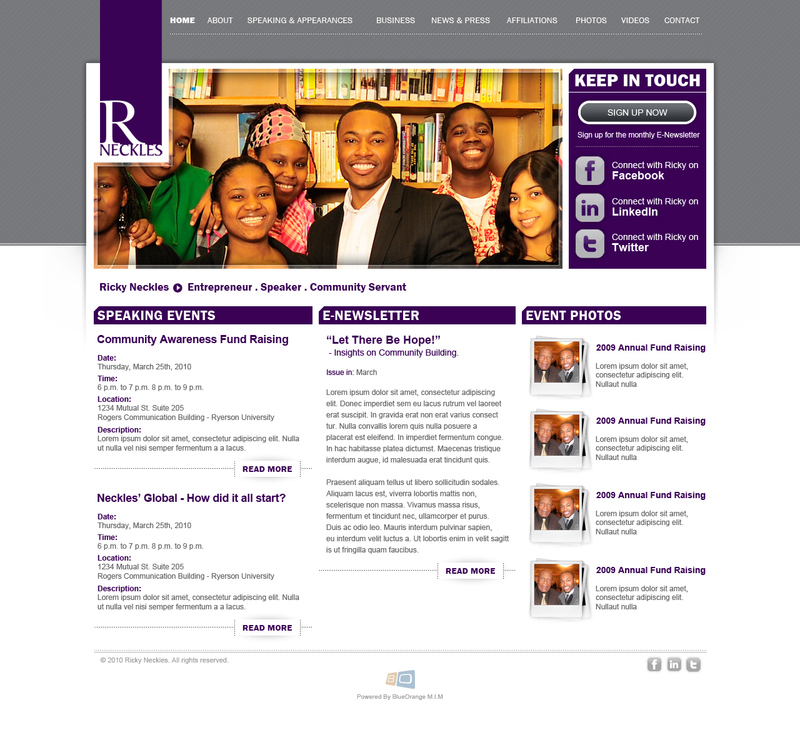 Listings of events and speakingA strong logo, grounded in purple - To turn Ricky Neckles into an internationally recognizable brand. A fully developed interactive marketing campaign—consisting of search engine optimization, Web analytics implementation, and Facebook Fan Page creation—helped to establish the website and jump-start the community, firmly establishing the Ricky Neckles brand. 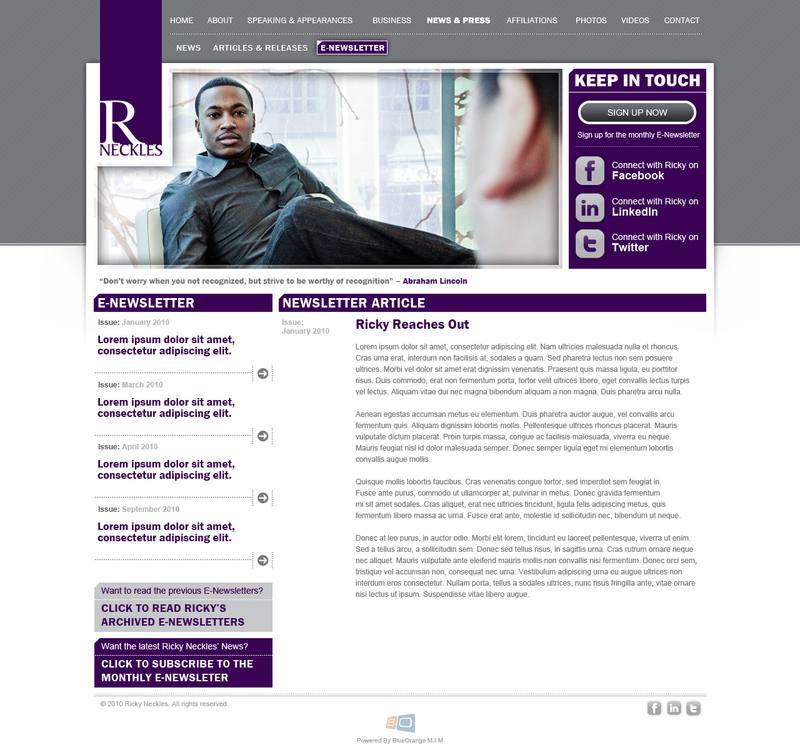 Official website - Home page. Official website - Events page. Official website - eNews page. 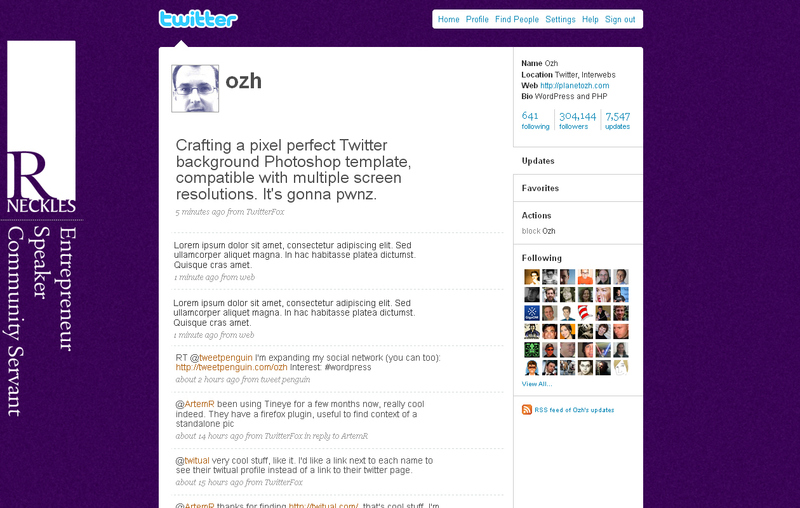 Twitter background design ( with sample content ).